Home Comparison Panasonic Eluga X1 VS Huawei Honor 8C: Which One Will You Pick? Choosing between the new Panasonic Eluga X1 and the Huawei Honor 8C can be a little confusing. Since both phones feature similar design and hardware it will be hard to handpick one among the duo. So in this post, we will be looking at the comparison between the Panasonic Eluga X1 and the Huawei Honor 8C to help you make your choice. scanner with dual cameras on the back and it’s available in Silver and Gray colors. 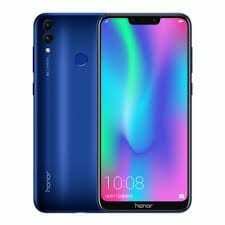 The Huawei Honor 8C is built with a plastic glass and it has a similar notch with it’s rival and a rear-mounted fingerprint scanner with dual cameras set-up. The handset measures 75.94 mm x 158.72 mm x 7.98 mm in dimensions and it weighs 167 gram. The Panasonic Eluga X1 has a display size of 6.18 inches FHD+ with a screen resolution of 1080 x 2246 Pixels and 403 PPI density. The Huawei Honor 8C, on the other hand, packs a large screen size of 6.28 inches FHD+ with a screen resolution of 1520 x 720 Pixels and 268 PPI density. The Panasonic Eluga X1 will offer sharper display than it’s rival and it also has a higher screen to body ratio as well. The Panasonic Eluga X1 has a dual rear camera of 16 Megapixels + 5 Megapixels with an LED flash and a front facing camera of 16 Megapixels with Face recognition. The Huawei Honor 8C also has dual rear cameras as well. The cameras consist of 13MP + 2 Megapixels with Digital zoom, LED flash and a selfies camera of 8 Megapixel with F2.0 Aperture, CMOS BSI Sensor, and Face Recognition. 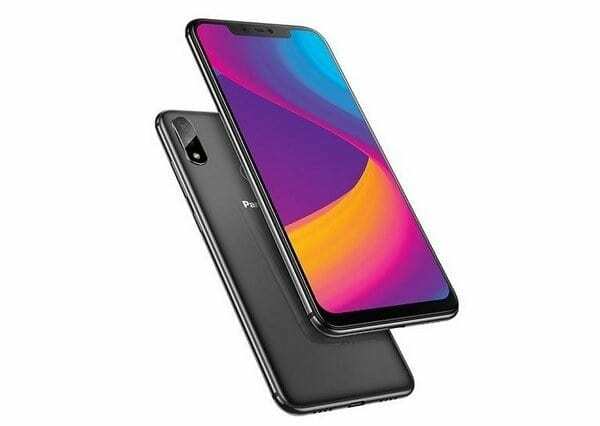 The Panasonic Eluga X1 runs on Android 8.1 Oreo operating system with MediaTek Helio P60 MT6771 chipset that clocked at an octa-core 2.00GHz speed, while the Huawei Honor 8C runs on Android 8.1 Oreo as well with a Qualcomm Snapdragon 632 chipset and an octa-core processor that clocked at a speed of 1.8 GHz. Both phones have 4GB of RAM with inbuilt storage of 64GB which is expandable and they also support 4G LTE connectivity. The Panasonic Eluga X1 has a nonremovable battery capacity of 3000 mAh, while the Huawei Honor 8C has a massive battery capacity of 4000 mAh. Both phones support fast charging technology and the Huawei Honor 8C is winning in this category. On the price, the Panasonic Eluga X1 will start selling at a price of $300, while the Huawei Honor 8C will sell at a price of $129. The Huawei Honor 8C is the best option in this comparison. The phone has a massive battery capacity and it’s even more affordable and above all, it will slightly outperform the Panasonic Eluga X1. The only area where the Panasonic Eluga X1 has an edge is on the design, camera, and display. Yes, the Panasonic Eluga X1 is more premium than the Huawei Honor 8C, while the Huawei Honor 8C is more affordable.